It’s unanimous! Gummy lovers have made Blue Raspberry, Orange, and Cherry the most popular World’s Largest Gummy Bear!™ flavors. 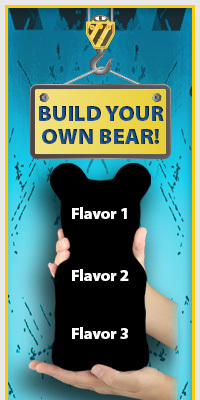 You just can’t beat having the best of the best, a gummy “flavorite,” the ORIGINAL World’s Largest “Flavors” Gummy Bear!™ At 9.5” x 5.5” and almost 5 pounds, this is an exceptional made in the USA confection!